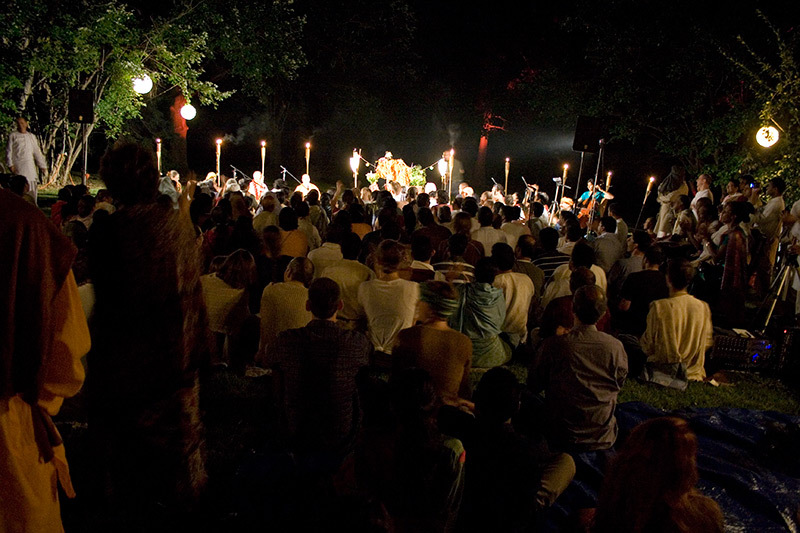 Please join us on Wednesday, August 13th at 6:00pm for our annual outdoor Sacred Sounds celebration with HH Radhanath Swami; one of our most exciting and beautiful events of the year. The gathering will be held, as usual, in Ashton, MD (address below). Wednesday’s Sacred Sounds festival will start off with a potluck dinner, followed by kirtan under the stars. Please feel free to bring any blankets or cushions to make yourselves comfortable on the lawn. If you would like to bring something to share for the Potluck Dinner, please remember, no meat, fish, eggs, mushrooms, onions or garlic, so that everyone can enjoy the festival. Sounds mermerising , under the stars ! 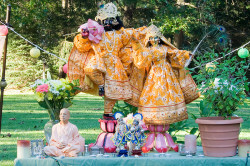 it will be vaikuntha atomsphere to be with radhanath swami maharaj & attend the kirtan and lectures. hare krishna.